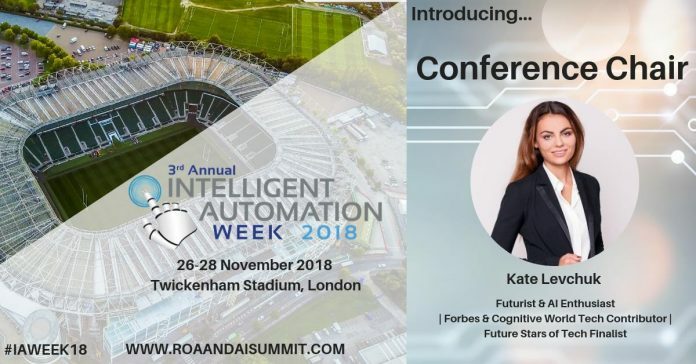 Intelligent Automation Week focuses on companies journey across the realms of RPA and AI to allow you to overcome companies challenges with an eye for the future! Over 80 speakers represented the best from the World’s largest companies and innovative start ups. Honoured to be invited to chair Intelligent Automation Week!